Starting pitching will answer the only question that matters to the 2019 Athletics — does the season live beyond game 162. When the first pitch is thrown on Opening Day, the A’s will have already played two games, suffered two losses and offered zero surprises. The offense will be good, the defense will be great and Blake Treinen and the bullpen will be capable of holding late leads. In Oakland, it all comes down to the rotation. Scot Tucker/SFBay Oakland Athletics starting pitcher Sean Manaea (55) throws a pitch in the first inning as the Toronto Blue Jays face the Oakland Athletics at Oakland Coliseum in Oakland, Calif., on Wednesday, August 1, 2018. 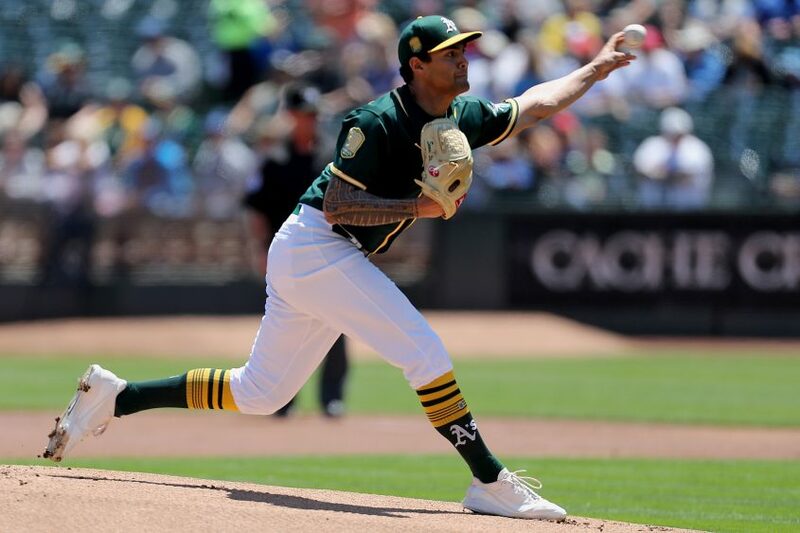 While they went into the offseason with the knowledge that Sean Manaea, at best, will not be available until well into the second half, the A’s did little to bolster the top of the rotation. Godofredo Vasquez/SFBay Milwaukee Brewers relief pitcher Marco Estrada (41) readjusts his hat after walking San Francisco Giants center fielder Gregor Blanco (7) with the bases loaded in the fourth inning of the game at AT&T Park in San Francisco, Calif., on Friday, Aug. 29, 2014. Marco Estrada, the big starter add, could end up being a very valuable piece. But with names like Dallas Keuchel floating in the free agency air Oakland had the opportunity to improve in the face of great loss. They didn’t. Scot Tucker/SFBay Oakland Athletics starting pitcher Mike Fiers (50) throws a pitch in the first inning as the Texas Rangers face the Oakland Athletics at Oakland Coliseum in Oakland, Calif., on Monday, August 20, 2018. 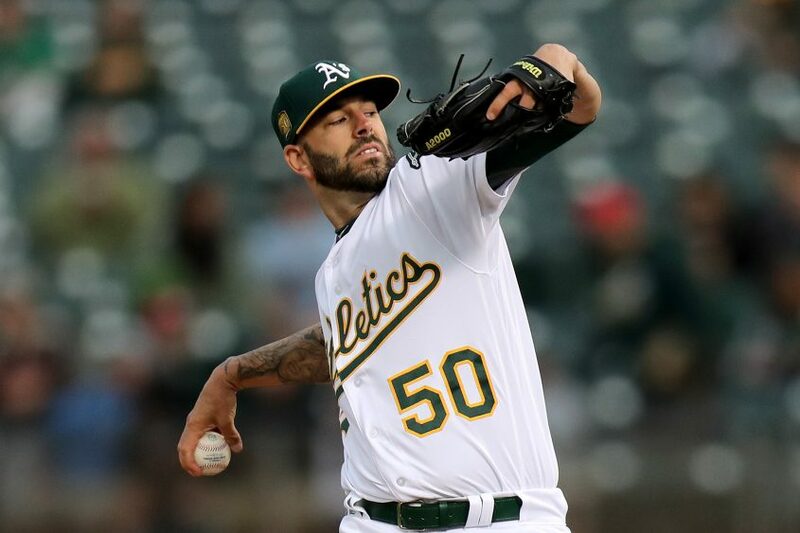 Opening Day starter Mike Fiers was fantastic in green and gold — significantly better in white, green and gold — in 2018 and thus was retained with a two-year deal worth $14.1 million. Both Estrada and Fiers were roughed up in Japan, to the tune of eight earned runs over eight combined innings. The good news for Oakland is that the Coliseum is one of baseball most pitcher-friendly parks while the Tokyo Dome is a hitters’ haven, and both righties are fly-ball pitchers. The three homers they surrendered to the Mariners would have had a much better chance to stay in play in the East Bay — and most AL ballparks. 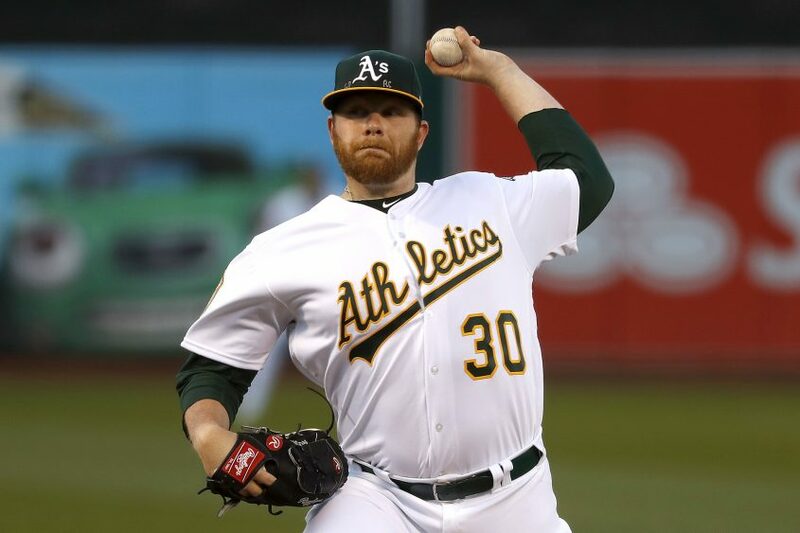 Scot Tucker/SFBay Oakland Athletics starting pitcher Brett Anderson (30) throws a pitch in the first inning as the Houston Astros face the Oakland Athletics at Oakland Coliseum in Oakland, Calif., on Monday, May 7, 2018. Veteran lefty Brett Anderson, Frankie Montas, who allowed one run in 16 innings spanning five appearances this spring, and Aaron Brooks round out the Opening Day rotation. That five-man set likely won’t remain intact for more than a month, though, with Jharel Cotton (Tommy John), Jesus Luzardo (left shoulder) and A.J. 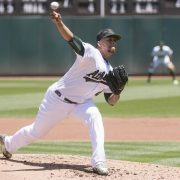 Puk (Tommy John surgery) each on the mend — Luzardo is expected back some time in early May. For now, Montas, who added a splitter to his already devastating combination of a 97-mph fastball and hard slider, is the key to the rotation. The out-of-options 26-year-old put together his first extended run of big league success last June — when the A’s propelled themselves into the postseason race — going 6-2 with a 3.35 ERA over eight starts. 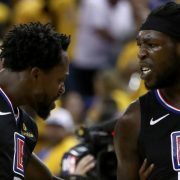 That is what Oakland will need from its No. 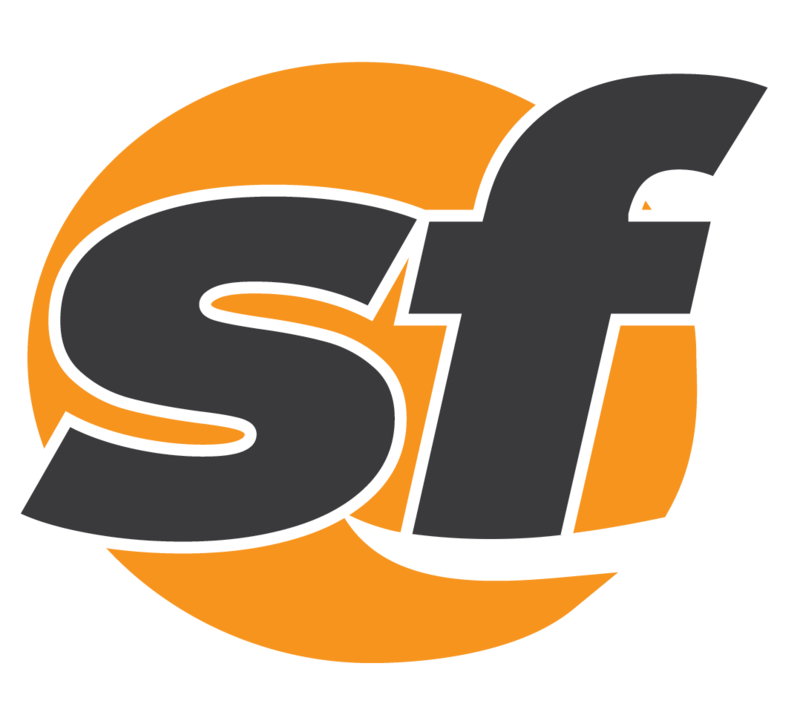 4 starter to solidify the rotation until its health status improves. Even when Cotton, Luzardo and Puk return, they will bring with them little experience. And Jonathan Lucroy, the veteran catcher who guided youngsters like Manaea, Daniel Mengden and Montas through growing pains last season, has since moved to Los Angeles. Scot Tucker/SFBay Oakland Athletics catcher Josh Phegley (19) fires out Minnesota Twins shortstop Danny Santana (39) after a bunt attempt in the third inning as the Minnesota Twins face the Oakland Athletics at O.co Coliseum in Oakland, Calif., on Sunday, July 19, 2015. The excitement is there. The expectations are there. When they return, Cotton, Luzardo and Puk could provide just what the A’s need to make another run at the postseason. The closest thing to a surprise in the bullpen following Spring Training was the inclusion of J.B. Wendelken. But a 0.54 ERA and 0.780 WHIP in 16-2/3 innings last season made him a deserving selection. But the big outs will fall to Lou Trivino, Joakim Soria and of course Treinen. The bullpen is rock solid. Scot Tucker/SFBay Oakland Athletics designated hitter Khris Davis (2) is congratulated after scoring in the second inning as the Toronto Blue Jays face the Oakland Athletics at Oakland Coliseum in Oakland, Calif., on Wednesday, August 1, 2018. 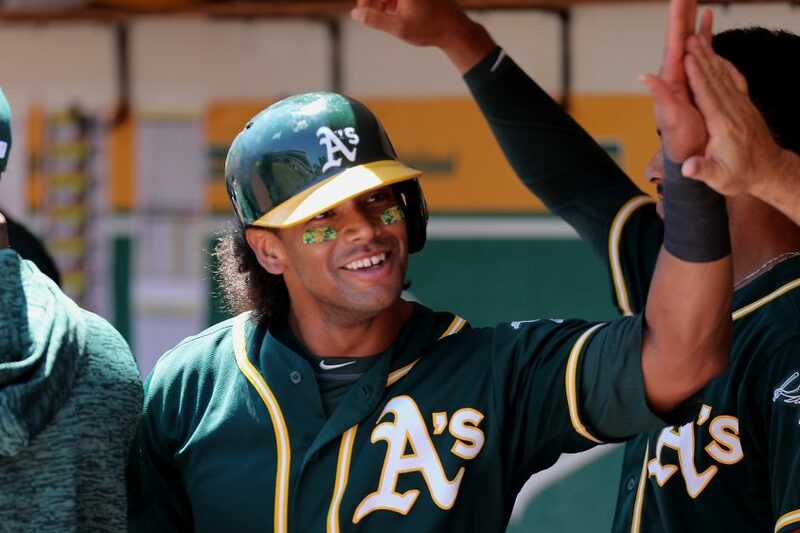 Offensively, it is a safe bet that Khris Davis around the .250 mark (.247 is a safe bet) with 40 or more home runs and 100 or more RBIs. The A’s have a good idea of what they will get from Matt Chapman, Stephen Piscotty and Marcus Semien. 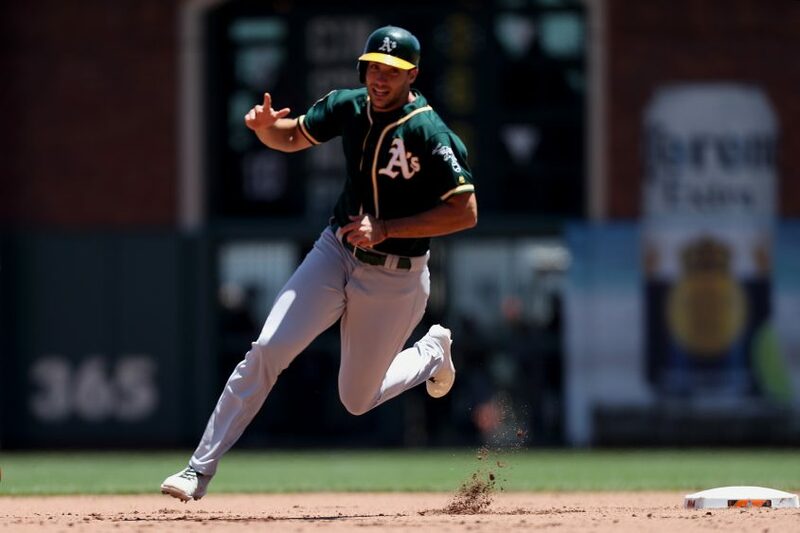 Losing Matt Olson (right hand surgery) creates issues both on offense, where he batted in the all important five-spot behind Davis, and on defense, where he won a Gold Glove in 2018. The former was aided Wednesday when the A’s traded for Kendrys Morales, who slashed .249/.331/.438 with 21 homers in 130 games last season. Scot Tucker/SFBay Oakland Athletics first baseman Matt Olson (28) heads to third on a Chapman hit in the fourth inning as the Oakland Athletics face the San Francisco Giants at AT&T Park in San Francisco, Calif., on Sunday, July 15, 2018. Even without the rangy first-bagger, the Oakland defense will be anchored by Chapman, the Platinum Glove-winner, the vastly improved glove of Semien at short and strong-armed and rangy center fielder Ramón Laureano. Scot Tucker/SFBay Texas Rangers third baseman Jurickson Profar (19) throws out Oakland Athletics third baseman Matt Chapman (26) in the first inning as the Texas Rangers face the Oakland Athletics at Oakland Coliseum in Oakland, Calif., on Tuesday, August 21, 2018. Once again, there will be no issues here. 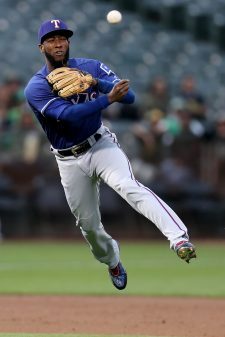 It will, however, be interesting to see what the one-time highly touted prospect Profar does with a new club and regular playing time. 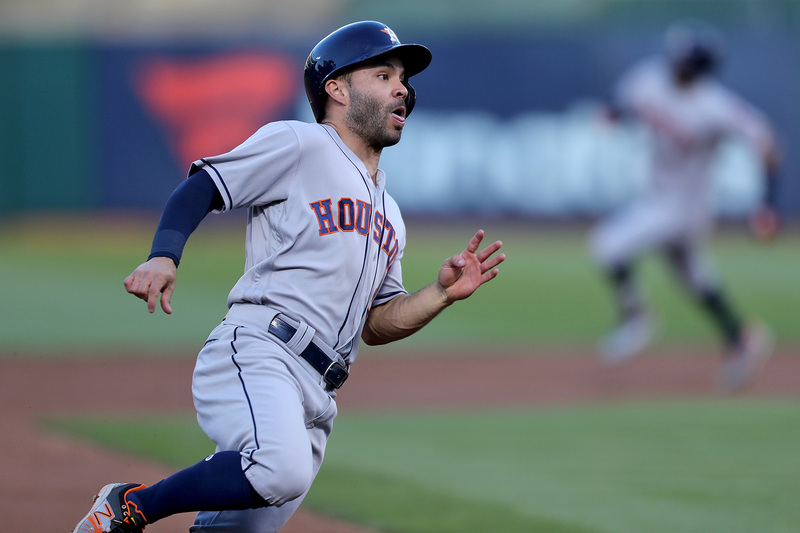 He plays multiple positions in the field, each with a great deal of competency, and adds a bit more range to the second base position. 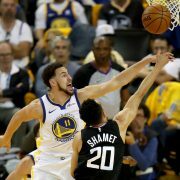 Offensively, he is coming off a 20-homer, 10-steal season having played more than 90 games (146) for the first time in his career. Great numbers for a supplemental piece. 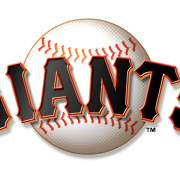 But, again, having three Gold Glovers and scoring 750-plus runs will only matter if the rotation can stunt early rallies and allow a stout bullpen to stay fresh. That is what it will take to make a second-straight run at October baseball.